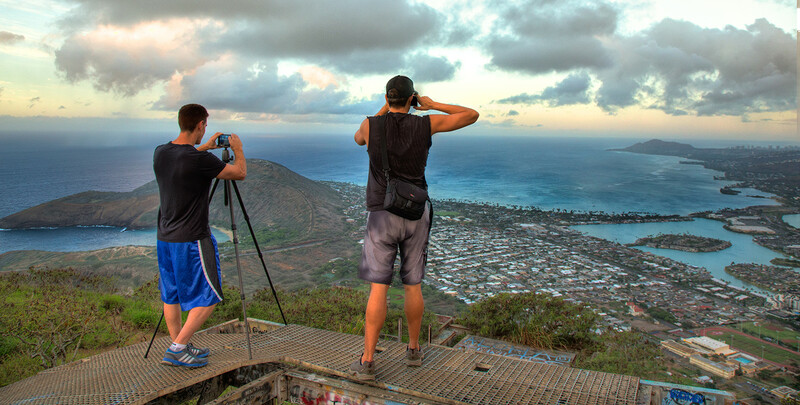 Overlooking the south shore of O’ahu! Not THAT Transpac, of course. 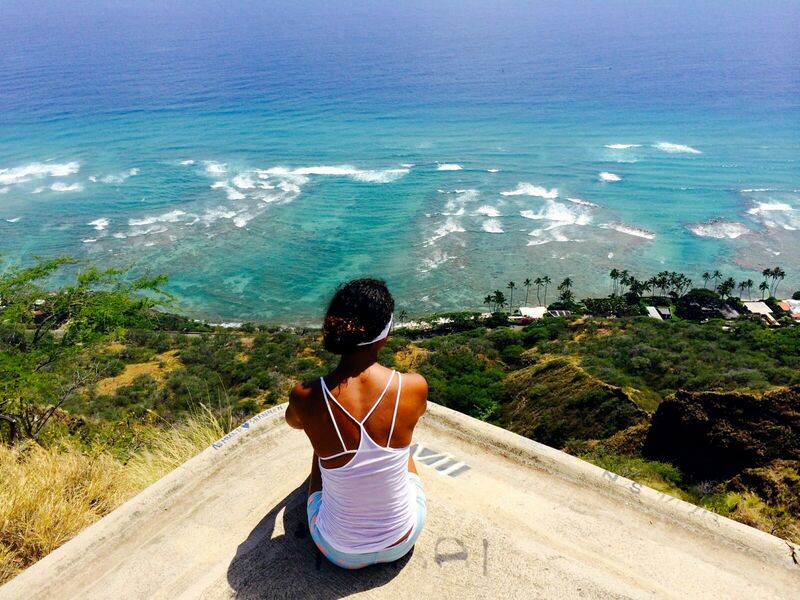 But a 10-mile reach from Koko Head to Waikiki on O’ahu that’s arguably just as fun and reserved to youngsters on dinghies and – for the first time – boards! 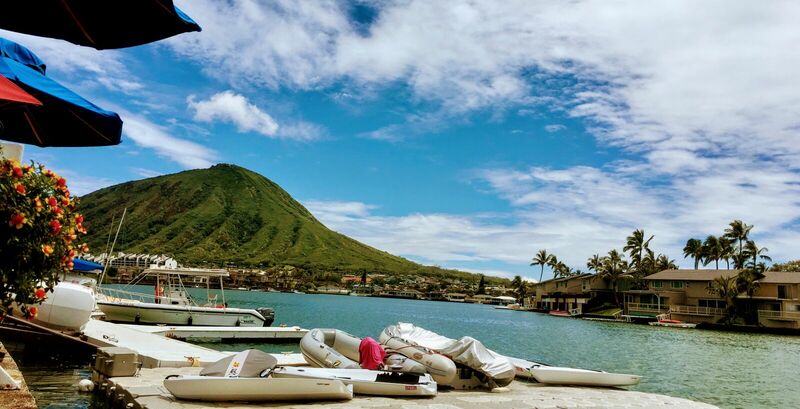 Organized by the Hawaii Kai Boat Club, the Dinghy Transpac took place just before the summer, and we asked master of ceremony Todd Carle to tell us all about it! 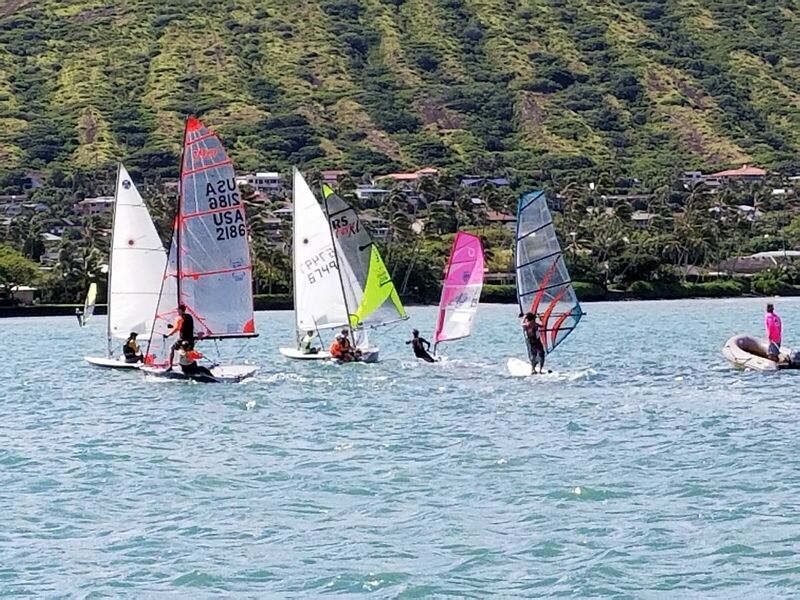 Hawaii Kai Boat Club hosted the 4th Annual Dinghy Transpac on May 6, 2018. Any sailing vessel under 20′ could enter the 10-mile race, and this year marked the first time there were windsurf and windsurf foiling divisions! All of the windsurfing competitors were junior sailors, and they all chose to ride the Techno 293 boards to provide one-design fun and the flotation needed in the lulls. This is a fun reaching race that ends at Hawaii Yacht Club with a BBQ and awards: racing doesn’t get better than that! The juniors sailed O’pen Bics, Lasers, RS Fevas, 29ers and windsurfers. They raced down O’ahu’s south coast in the north-north-east winds for the ten miles that stretch from Koko Head to Waikiki. 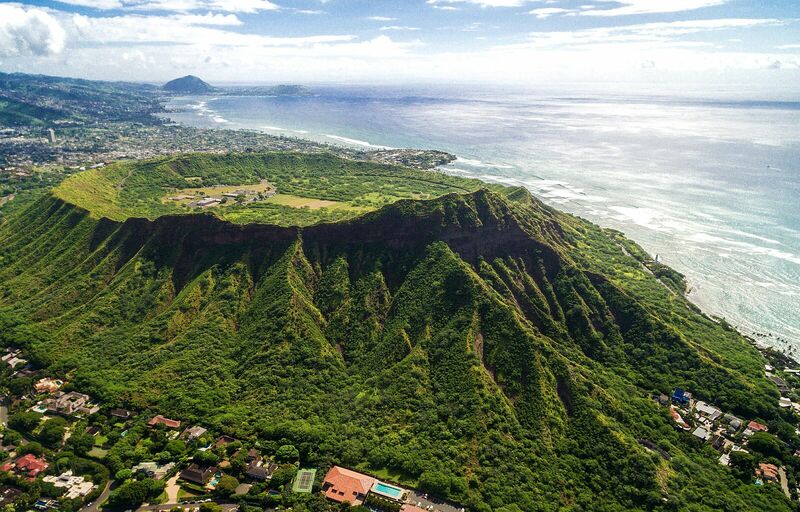 The off-shore wind direction offered gusty and challenging conditions for the first few miles, with gusts up to 22 knots passing through the valleys of the Ko’olau mountain range. Thirteen-year-old Danika Sailer has been windsurfing for about two years. Weighing in at under 90 lbs, she quickly learned that her 6.5m may have been a bit much for the gusts. But her encounters with dolphins and turtles in the warm offshore waters more than made up for her struggles! Wiley Daniels is an accomplished wave sailor who has competed at breaks like Ho’okipa since he was 9. This was one of his first sails on the 10-ft Techno board, and he handled it well. His 3rd place finish was impressive considering that he was adjusting to the bigger equipment. He reported it was like a whole different sport! Raring to go at the 2018 Dinghy Transpac! As the fleet rounded Diamond Head, the breeze dropped down to 6 knots where the sailors pass just outside the reef. There was one foil board sailed by 15-yr old Roark Stallsmith. 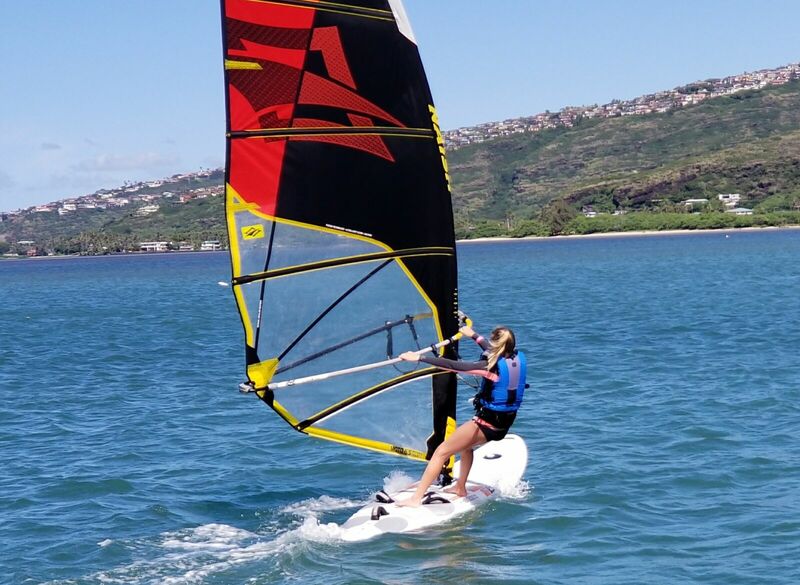 Although the foil board is faster in light and heavy air, it was tough to get going when the winds dropped close to Diamond Head and in the rolling seas. Roark was able to foil more than half of the total distance, but the wipe-outs and lulls kept him even with the fleet. The steady breeze off Waikiki proved to be the perfect conditions. After Roark crossed the finish line, he tacked and headed back offshore to the steadier breeze for some more foiling fun. It was my son Kona’s fourth year participating in the race. His first two years he sailed on an O’pen Bic, his third Dinghy Transpac was on the double-handed RS Feva, and this year, at 14 years old, he tried his hand at the Techno windsurfer. His experience participating in the race paid off: he took an outside line off Diamond Head to win first place in a time of 2:06:39! A lot can happen in 10 miles, especially on a windsurfer. For these teens, each experience was really unique, and they all agreed they would be back for more next year! 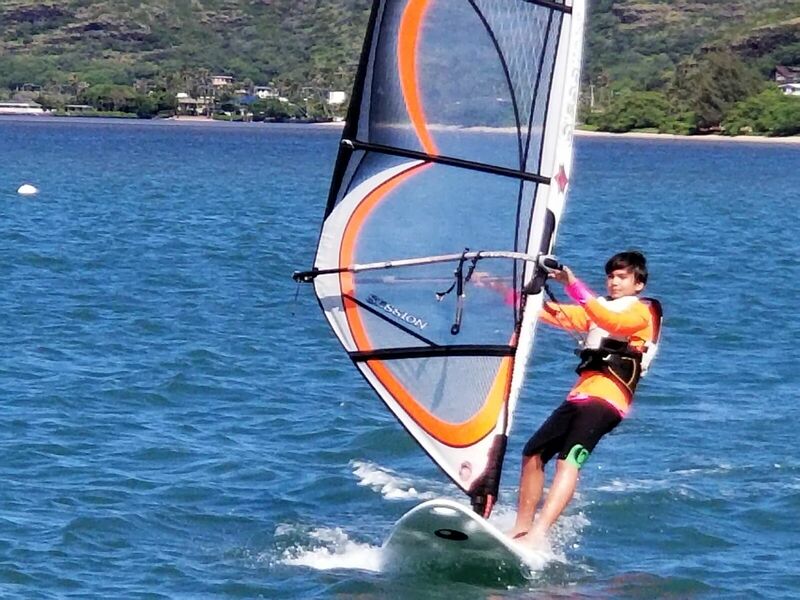 As the youth windsurf fleet keeps growing in Hawaii, we are sure to see more fun events in the future! Next story Down to the Wire in San Francisco! Previous story Big breeze at a Junior Event? No Problem!